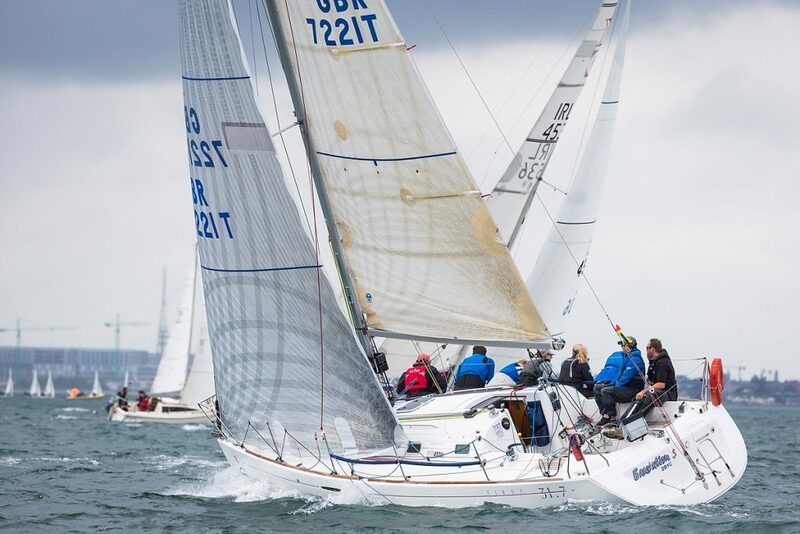 Beneteau 31.7’s rounding the windward mark at the Volvo Dun Laoghaire Regatta 2017 where a fleet of 475 boats have gathered for the biennial four day series. Beneteau 31.7’s under spinnaker at the Volvo Dun Laoghaire Regatta 2017 where a fleet of 475 boats have gathered for the biennial four day series. Jason Corlett’s Eauvation from the Isle of Man competing in the Beneteau 31.7 class at the Volvo Dun Laoghaire Regatta 2017 where a fleet of 475 boats have gathered for the biennial four day series.